It was the usual hurried Jumma. 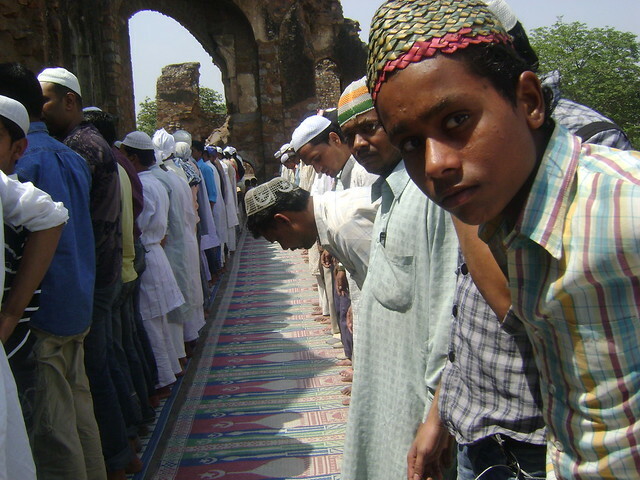 My 12 year old boy looked solemn in his long, pale white kurta. His usual fervor for the special Jumma lunch [Daal Gosht with piping hot fried rice] was absent and I found him sitting at the corner of our large mahogany bed. He seemed contemplative, very unusual for him. When asked to join, he looked up and asked, Mom, why do you work? And before I could react and open my mouth to say Whatttt and look gawky; I heard this next. And why don’t you stop working? That was a barb totally out of the blue. Never before in all these years was I questioned this way. My little son had seen his mother rushing from work to home and vice versa, since he opened his eyes into the world and understood things. Trying not to lose my composure, I waited for him to make an elaboration. He began. Today Moulvi sahib was saying in his khutbah that women who work outside home are from Shaitan. They are going to hell. He paused for my reaction but continued however. Working women are not good women, he was telling. Sadly I had to give an explanation to that angry young man, my own son. I told him how a woman is well within her Islamic rights to work, if she chooses to. I told him how many of our pious women were financially independent and earned their own money. H.Khadeejah RA, the wife of Prophet P.B.U.H. was prominent among them. H.Zainab bint e Jahash RA [and H.Umme Salmah RA] used to tan leather with their own hands and thus earned their own money. Being financially better capable than her husband another Zainab RA, the wife of H.Abdullah bin Masood RA was urged to help her husband and children. This was double the charity, for a woman is not required to spend on her family. H.Umme Shifaa used to look after the affairs at the market place and was appointed by none other than H.Umar RA. The examples are too numerous to count. Coming back to the tense situation that had all of a sudden developed at home, I looked at the young man, My son, My child, who questioned me after 12 years of living together, of growing together. I was made to stand in the dock; had to beat a retreat and look back pensively towards my last 15 years of tiptoeing struggle of balancing home and work. Where had I gone wrong? More than the abrupt impulsive question what was surprising was the sense of conviction with which I was questioned. That kind of chilled me to my very bones. How did the shift occur? It was the Jummah khutbah where he had heard this. The new Moulvi had spoken. The working women are friends of shaitan. Listen more, those who ride bikes become the handy devices of his. I had to assure my child that there was no such thing and even in the olden times women had made their outings riding the camels. [Isn’t it pure common sense that women need a means of conveyance to move around?]. He didn’t take much time to be convinced; being a sensible and compassionate child. What had worried me more was the kind of sway that speaker had held over him, however briefly. How could he achieve this feat within minutes of his weekly speech and nullify my work of 12 long years? This was what worried me most. Question is should we not try to see what is being fed to our boys on Jummahs apart from the usual Daal-Gosht fair? We should, we must. Read about brain-washing Israel Style here. Wonder who instigated these ISIS T-shirt foolies and more wonder how could they get so easily fooled? What did they achieve by doing this? Their defence that, this way they wanted to thank ISIS for sending the Kerala nurses back home safely does not hold water. In fact it should be thrown into the water, with their Ts included. Such an irresponsible act must be condemned in the strongest possible terms. It is said, the boys must have been tutored by someone to act out such whims. Who is this someone? Such indoctrination of young minds happens because of the lack of an open, all encompassing atmosphere of dialogue and for the lack of a mature meaningful and honest leadership. There is a tremendous need to engage our youth in various positive and constructive ways. They need to be sensitized about the critically delicate political situation that exists today. They must be made aware of the serious consequences of their silly immature acts. But who is going to do that? Of course this work can’t be left to the speakers/preachers who have nothing beyond their madrasa education. In fact they themselves need to be educated first. It’s imperative for the Muslim society that they watch their youth. We must watch who is talking to them, or trying to give them those doses of indoctrination. This may or may not lead to their radicalization but we must be alert. Giving the youth a positive and constructive atmosphere should be a priority. In place of only madrasa educated preachers, let’s have some young charismatic speakers/leaders who are well versed in both strands of knowledge, the deen and the duniya, the religion and the world. Engaging the youth in a positive healthy way is crucial. Nay, our biggest need is this. Our young Turks are our treasure; let us not allow anyone to steal them away! Do I need to tell you that I had got back my boy again? !